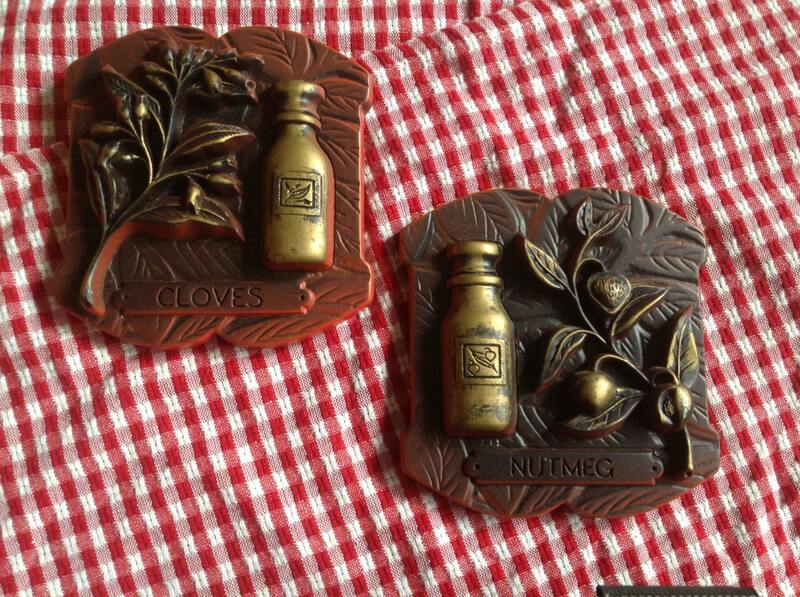 Offered is a pair of chalk ware kitchen wall hanging sculptural plaques marked "l976 Miller Studio, Inc." The plaques feature nutmeg and cinnamon spices. 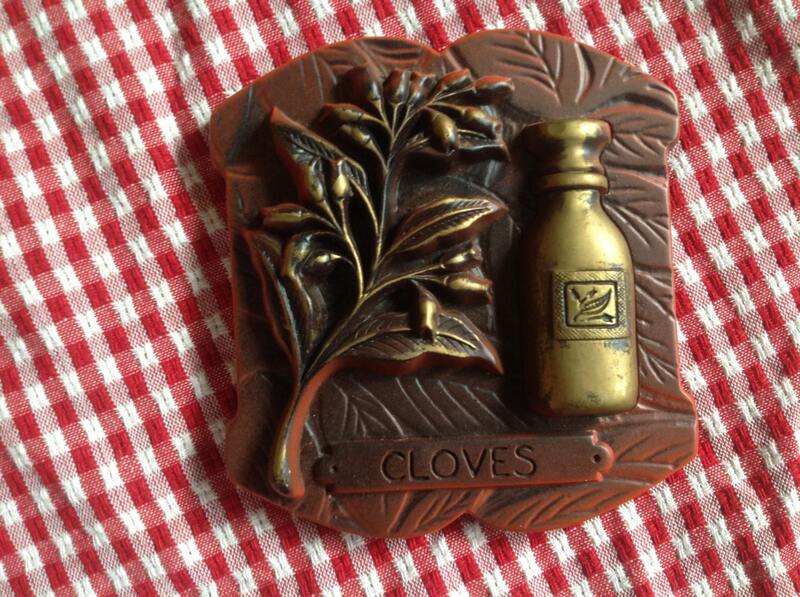 They depict the natural plants these spices come from as well as an apothecary jar and name of the spices. The red chalk ware features black air brush and gold antiquing details. 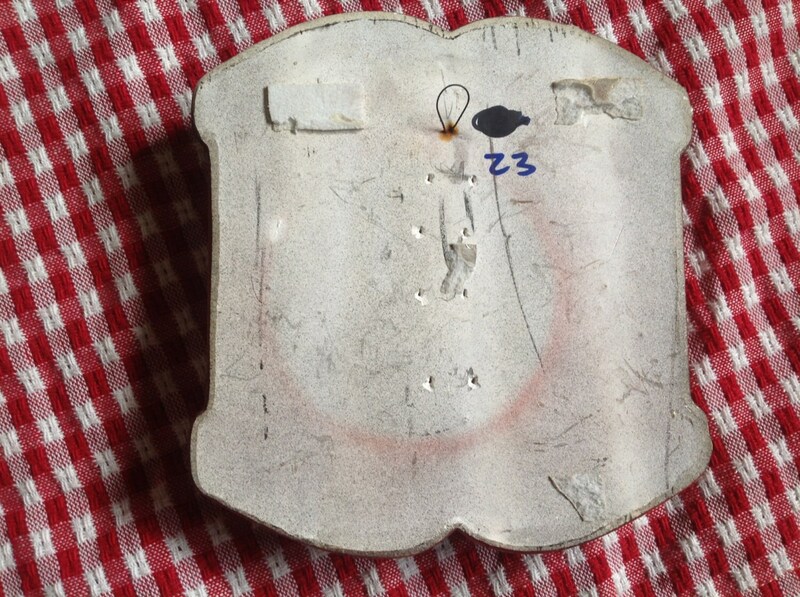 The backs have wire hangers. 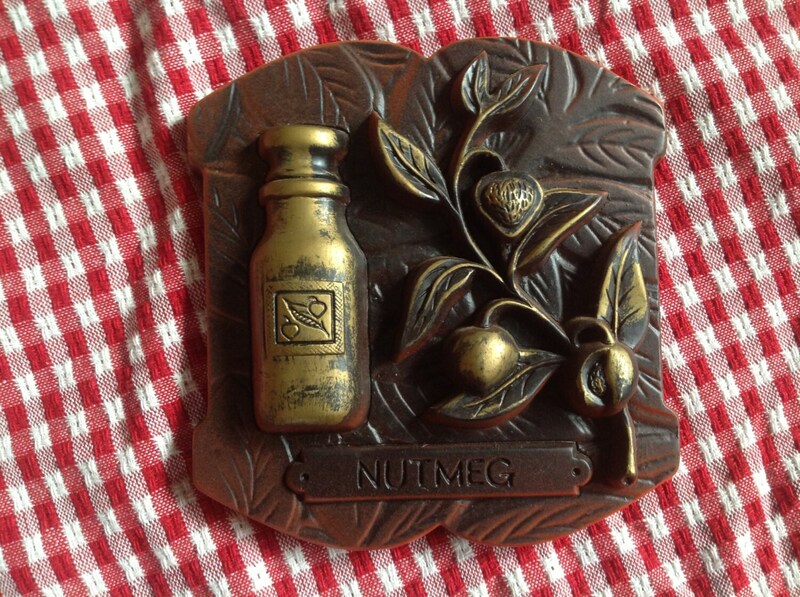 These plaques are in excellent condition with only small marker notations on the back.